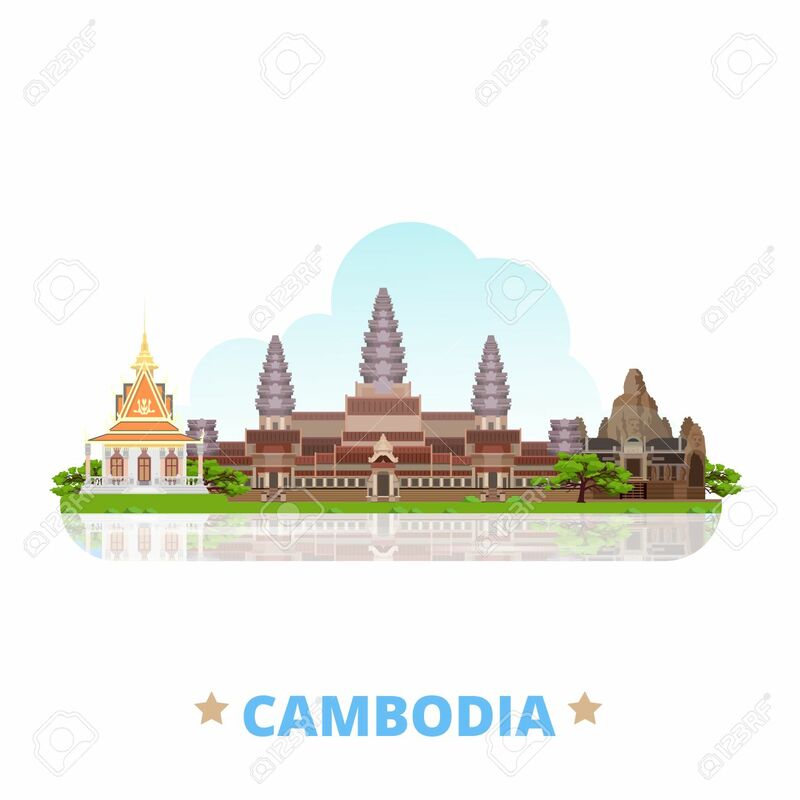 Cambodia Country Design Template. Flat Cartoon Style Historic.. Royalty Free Cliparts, Vectors, And Stock Illustration. Image 58836019. Vector - Cambodia country design template. Flat cartoon style historic sight showplace web vector illustration. World vacation travel Asia Asian collection. Bayon Khmer temple Angkor Wat complex Silver Pagoda.